Do you have a graduate in the family this year? Be sure to make one of these handmade graduation gifts. There are over 20 ideas below for you to make or just to jump start your inspiration. From small to large, we have a gift for every skill level and budget. 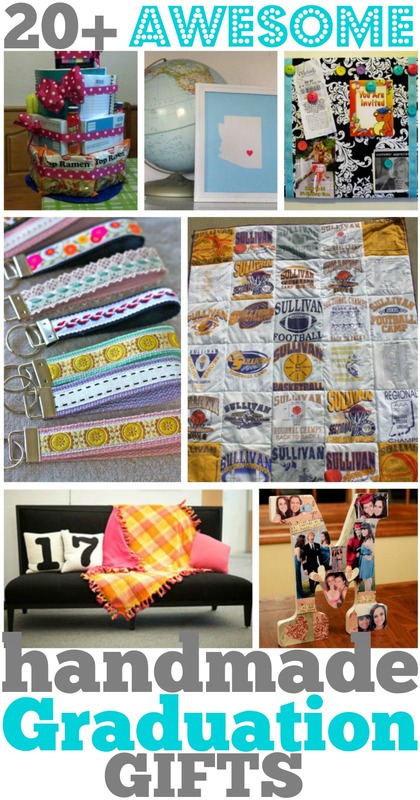 Click around to find handmade graduation gift ideas for your loved one. Click each of the links below and the instructions for each of these gifts will open in a new tab on your computer. From there, you can pin or bookmark those that you want to make! Happy creating! next post: My Craft Room Tour and tons more next week!